It is invaluable to have a friend who shares your interests and helps you stay motivated. A makerspace located in South Lake Union, Seattle. We are a group of makers creating a community and a space that provides all the knowledge and tools to make your ideas a reality. Whether you’re a long-time maker, in a specialized field looking to expand, or just curious, you are welcome to join us! The only thing better than designing and crafting projects is contributing the skills to others. We provide tools and education to an ever expanding group of makers, students, and businesses, by creating a world-class fabrication and teaching facility that is accessible to all. Learn more about our mission, values, team, and history below. Obliterating barriers to learning, experimenting, creating, and inventing. Being an inviting, welcoming, comfortable, and safe space for people to show up as their full, unlimited selves. Consistently producing high-end products, events, and experiences. Sharing our failures, discoveries, and triumphs. Purposefully seeking out growth opportunities, leadership, advisers, instructors, and collaborators with diverse experiences and perspectives. We know that each individual lives at the intersections of numerous identities and experiences. We welcome and respect the entirety of who people are. The act of creation involves overcoming a lot – fears, concerns, beliefs, limitations. We know that makers in the process of making will confront their own beliefs and behaviors that keep them stuck. We acknowledge and honor the humanity of everyone who walks through our door. We show up and communicate authentically, with honesty and vulnerability. We love the word “why”. We see a mountain and we want to climb it because it’s there. We know that lifelong learning comes from the pursuit of questions, rather than answers. “Huh, why did that happen?” leads to much more discovery than “I know that already.” We value asking effective questions over seeking the answer. The questions are the point; the process is the point. We embrace challenge, and are undeterred in the face of something that has never been done before. We believe exploration, like creation, is a fundamental characteristic of being human – we honor the drive to develop, to make things better for ourselves and others. As makers, we we are very aware that nothing great ever happens all at once, but rather through prototyping and experimentation, and that means we do a lot of failing. We fail fast and we fail often. We see failure as merely the next step forward in our process. We strive to create an environment where people can feel free to experiment, to have fun while making mistakes, and to see any failures as an opportunity to learn. We don’t just ask questions, we explore them. We do. We embrace action over theory. “Let’s try it,” is a phrase you’ll hear all the time at Seattle Makers. We take action on our curiosity. We build, we try, we dare greatly. A great idea will only ever be that – an idea. But a great creation isn’t necessarily great because of the greatness of the idea, but rather our ability to fulfill on an idea, to make it real. We are firm believers that the learning that sticks is the learning that comes by doing, by trying something out, failing, figuring out why, and then making adjustments. As such, we value people figuring things out for themselves. We respect each individual’s process in how they learn. We know that we rob each other of the satisfaction of figuring something out if we are too quick to instruct or give the answer. If someone needs help, we encourage them to ask, and we will always ask permission before offering instruction or advice (unless it’s a safety issue). We value the perspective of youth. Young people try and fail without assigning any meaning to their failure. They are fearless as they barrel through life, falling down and getting back up. We emulate this mindset at Seattle Makers, embracing a wide-eyed wonder of how things work. We are a place where adults can learn from the perspective of young people at the same time as adults are teaching skills. When we give ourselves and each other room to play, to have fun, to do just for the fun of it, we free our brains up to see things in new ways. We are goofy, silly, irreverent. We don’t take ourselves too seriously. We are tackling huge challenges – and we do so playfully. We believe that people show up completely differently depending on how they are listened to. If you’re around someone who treats you like a failure, you’ll behave completely differently than if you’re around someone who treats you as radically capable. We are out to transform how we listen to each other. We listen to each other as unlimited, and in that, we become unlimited. In order to create this listening, we strive to be unflappable. We can be with any communication, whether it be frustration, anger, disappointment, or hopelessness. We listen to each other as unlimited. We are aware of and attentive to each other, listening to more than just the words, but the emotion and commitments underneath. We reflect each other’s accomplishments, vocally acknowledging and appreciating what each of us brings to the space. We know that we don’t live or work in a vacuum. We are part of the South Lake Union neighborhood and the greater Seattle community. In developing our programs, courses, events, workshops, and tools, we solicit input so we can represent the needs and wants of our community. Because makers are full human beings, we care about more than just making. We come to the space with concerns about our families, neighborhoods, communities, workplaces, government, environment, etc. We care deeply about social equity, access to opportunities, and the heart and soul of Seattle. We value open-source materials, and share knowledge, resources, and relationships so that the creation playing-field is level. It is not enough to just make things – we also make transformations in our community. We know that access to technology and tools is a privilege that not everyone has, and this lack of access contributes to and perpetuates intersecting systems of oppression in our society. We bring equity to opportunity, creating equal access to the tools that allows everyone to experiment, develop, and invent. We are out to activate our community, engaging it, highlighting unseen stories, and amplifying unheard voices. For us, diversity is the mother of invention. We see making as a gateway for transforming our community. When one person is successful in making, it has ripple effects, making success attainable for all. We are an environment where creativity, experimentation, exploration, and learning flourish. To do this, we acknowledge the necessity for structures and systems that let things run smoothly. We build systems that are reliable, consistent, and effective in getting the job done. This frees us up to do the fun work of creating. Beyond the technology that we have in place, we value consistency and reliability in our relationships with each other. We commit to taking action, and we follow through. If we fail, we acknowledge our gaps, own our mistakes, and put measures in place to bridge our gaps. We can count on each other to do what we say we will do. We take responsibility for our roles, and we take responsibility for the space. We live out our values at every level – from the materials we purchase to the companies we partner with, taking responsibility for the impact we have on our world. We care about the whole human being and value health in all realms. We support each other in self-care, providing the structures that allow us to thrive in a sustainable way. We value healthy relationships, constructive conversations, sustainable making, and a flourishing environment. We cannot grow and thrive as an organization if we aren’t growing and thriving as individuals or if we are harming the environment around us. Our fearless founder, head fabricator, and generator of unlimited accents, Jeremy’s passion is what brought the team together. Read more about Jeremy’s inspiration for Seattle Makers and his background below. 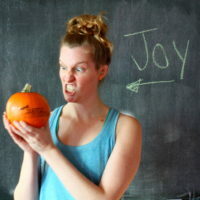 If you’ve seen it on our social media or read it on our website, it came from Joy’s brain. Joy has a background in, well, everything. She is our spreadsheet guru, IT mastermind, and the purveyor of all things Adobe Illustrator. A scientist, a microbiologist, and a wine maker gather around a table… no it’s not the beginning of a joke, but the dinner table at Jeremy Hanson’s childhood home—and the spark that led the former Fred Hutch technician to create Seattle Makers, a community and a space dedicated to making makers’ ideas a reality. Armed with a biology degree from the University of Washington, Jeremy went to work at Fred Hutch as a technician. While he enjoyed the benefits of working for the renowned health organization, he felt unfulfilled and began looking for side projects to fuel his creative side. “I taught myself 3D modeling, Photoshop and graphic design, and started volunteering for graphic design projects within the organization,” explains Jeremy. Despite the creative work, Jeremy still felt limited and, in true maker spirit, started several side projects, including an iPad case, a sign language app, and a home use hydroponic garden. While product development was successful, Jeremy learned that he had limited knowledge in manufacturing, marketing and sales, and these early projects fizzled out. His creative drive, however, only got stronger. 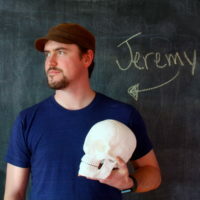 As Jeremy worked on his side projects, he discovered the concept of co-working makerspaces, first designing and working out of a makerspace in Fremont, then working and volunteering in the SoDo Makerspace after the Fremont space shut down. At the time Jeremy made this realization, he decided to move his maker desk to a co-working space for non-profits, NonprofitLeader.org, located at the former site of the School of Visual Concepts on Aurora Ave. At this space he started to ponder what the ideal makerspace would be – then set out to create it. Eventually, Jeremy and the Non-Profit Leader.org team swapped spaces, allowing Jeremy to take over more square footage and build several work stations to serve the maker community. With a classroom and co-working space built, he and his team officially opened Seattle Makers on September 1, 2017. Only a couple months old, Seattle Makers continues to grow, creating additional opportunities for Seattle makers (like a music/video/photo studio and woodworking), as well as building a community space for Seattle. “Our goal is to obliterate the barriers for people, especially kids, to create the future,” Jeremy says. “Seattle Makers gives access to emerging tech, classes, skills and community to help anyone learn and create anything they can dream of.